Sent to the icebound planet of Nordstral to investigate a mysterious outbreak of insanity, the crew of the U.S.S. Enterprise™ find themselves drawn into another, even deadlier mystery upon their arrival. A team of research scientists has disappeared on Nordstral's frozen wasteland, leaving no clue to their whereabouts, and no hint of their fate. 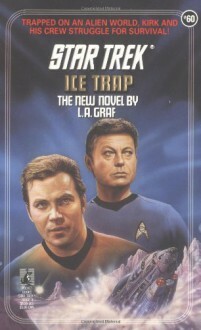 WHile Uhura and Chekov tackle the mystery surrounding the scientists' disappearance, Kirk and McCoy search for the truth behind the outbreak of mental illness. But both teams soon find themselves in danger, as the planet undergoes a series of massive earthquakes and electromagnetic disruptions. Unable to contact he U.S.S. Enterprise, both teams must fight for their lives as they try to solve the mystery of Nordstral -- before the world tears itself apart!